I work overnight hours. On most days I don't have time to make breakfast before work and I am always trying new breakfast or protein bars. I have finally found a protein bar that keeps me full, tastes amazing and isn't incredibly bad for my health: ZonePerfect Greek Yogurt Bars. These ZonePerfect bars come in three flavors: Chocolate, Raspberry and Vanilla Berry. I have only had the Chocolate so far, but I am currently searching for the other flavors in my local stores. 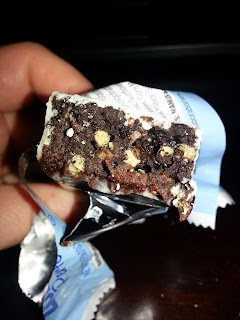 The Greek Yogurt Chocolate bar has a sweet chocolatey taste with a denser texture. The taste is reminiscent of a candy bar without leaving you wanting more (like a real candy bar). It is dipped in both white chocolate and milk chocolate with a crunchy texture on the inside. The first ZonePerfect bar I tried I actually only ate half of it. It wasn't that I didn't love it...it just filled me up. I ate the second half the following day in the middle of my work night and was satisfied. With the next two ZonePerfect bars I did devour the whole thing at once though...I'm not going to lie. It depends on how hungry you are at the time you eat them. They definitely help to hold off hunger and could easily replace breakfast, lunch or a snack. I love that the serving size is realistic and is actually a whole bar...sometimes companies trick you with serving sizes. I do wish that there was less (or no) sugar, but that would probably sacrifice taste. If you are supplementing one of these bars for a meal, this will probably be the healthiest meal you eat all day. These bars also have 3gm of fiber, 12gm of protein and some Calcium and Iron which is awesome. 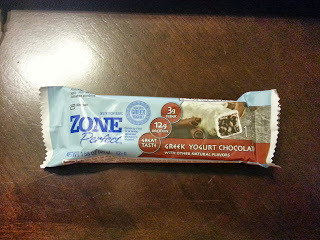 I definitely plan on buying more ZonePerfect Greek Yogurt bars. I highly recommend that you try them. If you have tried them, what did you think? 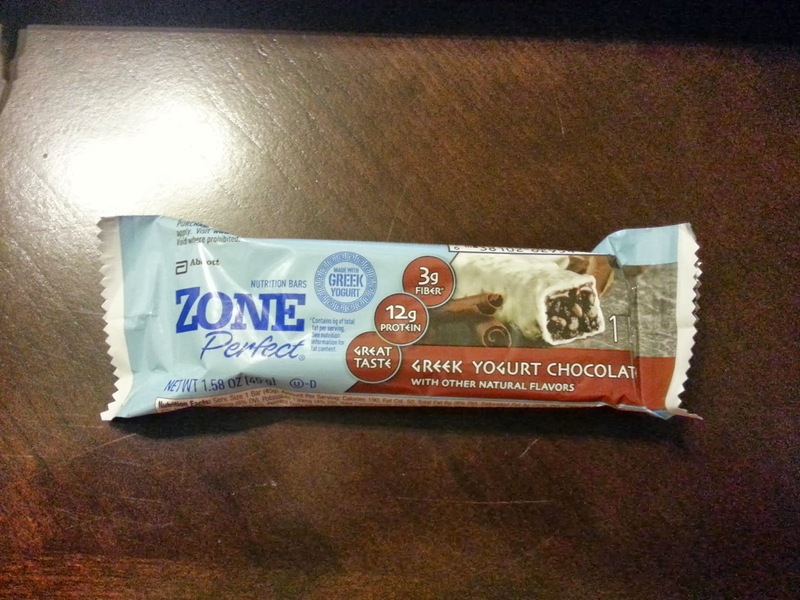 Disclaimer: I received a ZonePerfect Greek Yogurt Chocolate Bar from Influenster for free. I was not obligated to post anything, but I am doing so to enter to win additional prizes. All words are my own and these are my own honest opinions.